Once i was in a very dark place. I lost hope, i lost, confidence, and i lost my mind. Growing up there were no therapy sessions, or someone to check in on you just to ask if you were okay, you were considred week or mentally ill. I took my depression as something that wasn’t normal, i wasn’t supposed to feel a heightened sense of dread, worry, pure and utter sadness. I didn’t know at the time why i had those feelings and how i could climb out of the dark ongoing realm that was my life. The feelings i had were so intense, and so powerful, that i contemplated leaving his earth. I thought “I can’t see a theapist people, friends would think I’m weak, they will think I’m crazy. It had gotten so bad that my body was here on earth but my soul had left, my soul changed. I never could comprehend why so many other people in this world were depressed, how could something like depression intervene with everday life, Could it really stop time? Could it really stop you from living a normal healthy life? Could it effect the way you think? Hell Yes! That definitely was the case for me. The picture you see above was taken on a pretty bad day. I was highly anxious, just had taken my anxiety and depression meds. I figured that i could capture myself in that moment, so if one day when i conquered this sickness i would remember what i felt in that moment. This picture was taken in 2008. I still remember the day, what i ate, what i did, how i felt. I forced a smile to let outsiders know things were perfect. See, i was good at putting on a facade and potraying perfection, i did it quite well for awhile until i couldnt any more. It started to shiw within my character, and sad enough, my eyes. Loved ones knew something in me had shifted, my shift was infinite. I looked in the mirror and i couldn’t recognize this who i had become. I was full of life, i shined when the sun didn’t, i was bubbly, i was innocent. I saught help and started treatment. My spirt reached a breakthrough with the help of god, prozac, prayer, writing, and persistance. I’m saying this to say if you are ever in a place where you want to harm yourself, if you get to a place where you feel dread, worry, and severe anxiety, talk to someone. You are not alone. Exposure to violence increases the risk of developing a mental health condition such as depression, anxiety and post-traumatic stress disorder. African American children are more likely to be exposed to violence than other children.In the African American community, many people misunderstand what a mental health condition is and don’t talk about this topic. This lack of knowledge leads many to believe that a mental health condition is a personal weakness or some sort of punishment from God. African Americans may be reluctant to discuss mental health issues and seek treatment because of the shame and stigma associated with such conditions.”Many African Americans also have trouble recognizing the signs and symptoms of mental health conditions, leading to underestimating the effects and impact of mental health conditions. Some may think of depression as “the blues” or something to snap out of. This is not something you can just ignore and sweep under the rug. If you notice that a loved one is not themsleves and you notice a shift, step in, be there, listen, it could be a matter of life or death. If you feel down and need extra support please call (1800)-662-HELP (4357 you really don’t have to exprrince pain and fear by yourself. I made it through my storm, at days it can be challenging, but I’ve gained the tools and knowledge to manage my major depressive disorder. Don’t let life stop when that light goes out, find another source of light and let it carry you to utter happiness. 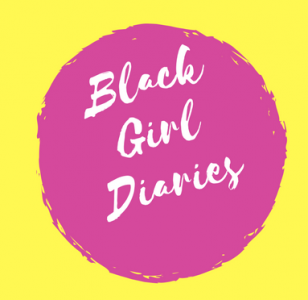 Next Post 5 Things Every Black Woman Needs To Hear from their significant other. I was recently diagnosed with a mood disorder. I’m almost 26 but I’ve struggled with depression and suicidal thoughts since I was a teenager. I grew up in a rough, violent home, in the south and can DEFINITELY relate to feeling like others around me would think I was weak. It wasn’t normal in my family to share our emotions so It got worse and worse over time. Now looking back I’m sure my mom and others in my family also have mental health issues and were just never diagnosed. We grew up pretty poor and most of the black families in the south just believed in praying everything negative away. I live in California now and I can get the help I need but it makes me so sad realizing how many other black people are struggling with this in silence. Thank you for speaking your truth! So many african americans suffer in silence because “therapy is not our thing”. In all reality we have to utlize resources for mental health. Talking to someone and getting the proper treatment will help so many get through life struggles and pain. It dosen’t mean we are crazy, it’s just that chemicals in out brain are out of whack and we need tools to balance it out. Thank you for reading my story, so many women sufffer in silence about their abortion experience, it’s time to speak up and heal. I use to go to therapy to help me out. I have some very dark days.